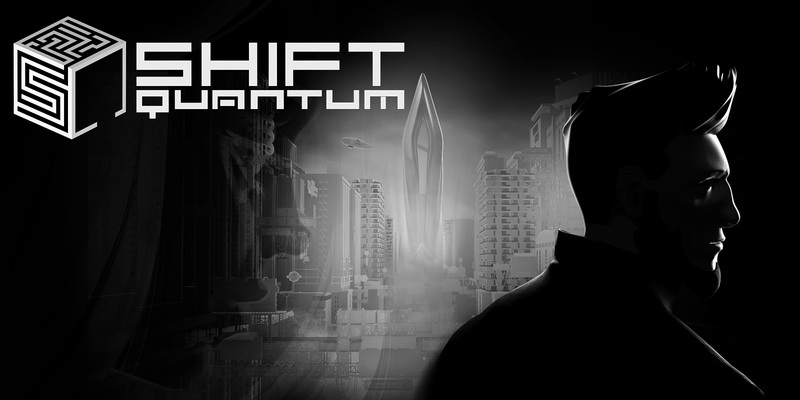 Red Panda Interactive and Fishing Cactus are proud to announce the launch of their new cyber-noir action-puzzle platformer Shift Quantum on Nintendo Switch, Xbox One, PlayStation 4 and PC. Set in a dystopian world of tomorrow, where a simple program places happiness within everyone's reach, you connect to one of Axon Vertigo ’ s experimental test subjects and plug into Shift Quantum ’ s black and white maze. Use the unique SHIFT mechanic to invert the world, create negative spaces, move blocks and modify gravity to avoid the deadly traps and reach the exit of all 117 labyrinths. At the end, will you truly discover happiness? Included with Shift Quantum is a user-friendly in-game level editor, allowing players to create their own mind-bending levels to share with communities cross-platform. Challenge and be challenged, rate each level and get the top feature on Axon Vertigo ’ s leaderboard. Shift Quantum is all about contrast. Whether in the atypical art style, the unique SHIFT mechanic, or the dual-sided narrative, you can feel constant conflict as an omnipresent aspect of the game’s design. This is also reflected in the atmospheric, dystopian and cyberpunk-esque soundtrack, devised by music composers Volkor X and Simon Felix , who worked together in a ‘call-and-answer’ format, wherein each track of the score is a contrasting piece produced by the other composer.